Do you have an interest in law enforcement or desire to become a police officer? The Springfield Police Department is always looking for qualified candidates who would like to join our force. The 2017 recruitment period has ended but we encourage you to sign-up to be alerted about our next application cycle and deadlines by clicking here. 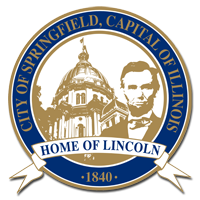 The City of Springfield has designated a portion of the Enos Park Neighborhood TIF funds to provide grant assistance to City of Springfield First Responders (Police and Fire) for a home purchase or new home construction in the Enos Park Neighborhood. To read more about this opportunity and the Enos Park area, click here.